Jeannine was an absolute pleasure to work with. Not only did she professionally assist me with my resume and career search but she also gave me amazing tools to utilize in the future. Definitely recommend her to any friends and colleagues. I like great customer service, coupled with professionalism and know-how. This is what Jeannine Bennett is all about! I have a new résumé, cover letter, and was also given great advice on how to enhance my LinkedIn profile. I highly recommend Jeannine to those that could need her help and assistance. To Jeannine, a big heartfelt thank you for helping me! Jeannine came highly recommended from a friend and I was not disappointed. She was very nice and engaging and I truly felt that she wanted to put me in the best position to succeed in my career. She was fast but thorough throughout the whole process working with her. I appreciate everything she has done for me. 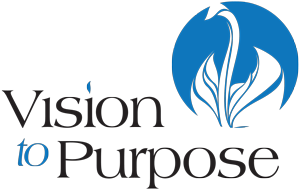 Vision to Purpose accepts payment online through PayPal. PayPal gives you the option to pay by credit card, debit card or bank account. To check out payment and privacy information click here.